In North America, the most common form of customer membership is to have members set up on recurring billing with a credit card for unlimited access to the facility. These members pay no additional fee when visiting the facility. As members, they are billed each month via their credit card (EFT) -OR- they have purchased a paid-in-full (PIF) membership for an extended period of time. Their EFT or PIF Membership gives them access to the facility without having to pay a day pass rate. They are members until their PIF membership expires or until they terminate their EFT billing relationship. In the UK, the most common form of customer membership is to have customers pay a one-time (or yearly) fee for “membership” that allows them a reduced rate on day passes. 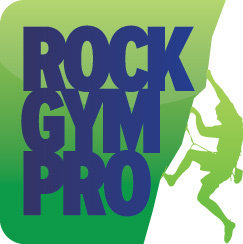 Many UK gyms refer to these types of customers as “Registered Climbers”. Prepaid and recurring full-access memberships are becoming more popular in the UK, particularly as RGP becomes adopted by more gyms. #1: Do not ignore warnings when modifying a customer record within RGP. #2: MEMBER customer types should be used for Paid-In-Full or Billed Members (as described above). GUEST can be used as the customer type along with a custom policy to represent a Registered Climber (as described above). Customer types can be broken down further by using SubTypes in RGP..
#3: For recurring billing customers, use one or both of the following methods. Mock/Simulated Billing to store your direct debit payment details and track billing. Integrated Stripe Credit Card (or credit debit card) Billing for members with recurring billing. Most RGP gyms are moving all members from direct-debit to credit-debit cards so that billing can be seamlessly accomplished in RGP. This first tip sets the baseline for the rest of the tips. RGP has a built-in warning system that is triggered when members are not configured properly. If RGP is not used in the way it was intentionally designed, users of the system inevitably end up ignoring warnings when customer records are viewed or modified. Once a few warnings are ignored, it can be easy to lose track of which customers actually do have mistakes that need to be corrected. DO NOT IGNORE THE WARNINGS! Tip #2 - MEMBER customer type should be used for Paid-In-Full or Recurring Billed Members only. RGP uses the term MEMBER throughout the software to describe a customer that has complete access to the facility without having to pay additional fees. This definition is usually different than how a typical UK gym describes a member. It is important to accept RGP’s definition of MEMBER and to use a different term if the member falls under the UK concept of member (i.e. ; a “member” that does require additional fees to use the facility). Some alternative names could be: “Registered Climber” or “Pay-as-you-go”. In RGP only use the MEMBER customer type for those customers who have prepaid or billed access to your facility - without an additional fee. Do not use the MEMBER type to represent customers who still need to pay a day pass rate when they visit the facility. Use the GUEST customer type (with policies as described below) for the UK concept of a reduced-rate day user. For the purposes of this document, we will refer to these type of customers as REGISTERED CLIMBERS. This can take some getting used to since RGP’s MEMBER is different than the UK meaning of MEMBER, but the best thing you can do for operations is to embrace RGP’s concept of a MEMBER. The best technique to track these Registered Climbers in RGP is to use an Alerted Policy. By using a policy, your staff can be made aware of how much to charge at POS. This policy, as configured, will show an alert for all customers that do NOT have Registered Climber checked. The lack of a Registered Climber policy being checked on a customer means that the front desk staff needs to collect the full day pass amount, rather than the reduced rate. With this configuration, when a customer is selected in POS, staff will see a bright yellow note indicating whether the customer is a Registered Climber or not. If the Registered Climber policy is NOT checked, the customer should pay the full day pass rate. If the Registered Climber policy IS checked, the customer should pay the reduced day pass rate. See the screenshots below for details on configuring a Registered Climber policy as well as how the POS and CHECK-IN screens depict a missing Registered Climber policy. NOTE: Stripe can be used in some countries for monthly recurring EFT membership payments. See Tip #5 below. RGP currently does not have support for direct debit in the UK. It is our hope to have an integrated direct debit solution sometime in the future. In the interim, we recommend using a third party direct debit solution but keeping the customers and payments tracked in RGP using a “Mock/Simulated Billing” process. This simulated billing process allows invoices to be posted to RGP customer’s accounts and a record of the payment collected. Configure the RGP members as required with a next bill date, dues, etc. There should be NO warnings when saving the customer record if the customer is setup properly. Once a month, dues are posted and customers are “billed” in RGP. The billing of course does not happen, but a record of payment is created in RGP. Any payment declines that come back from the third party provider should be marked as declined in RGP so that an alert appears when the customer checks in. Be aware that RGP’s transaction emails regarding decline payments will not automatically be sent out when using Mock/Stimulated Billing. Emails regarding declines will need to be sent manually. IMPORTANT - Watch a video tutorial on how to set up and use Mock/Simulated Billing in RGP. Please read the separate documentation on Stripe integrated credit card billing. Credit card Stripe billing can be used in conjunction with the Mock/Simulated Billing described above for direct debit payments. “I would also reiterate the advice you give on the RGP website about screen size. We’re using touch-screens bought for our previous POS software and at 1024 x 768 they are not wide enough for optimal use of RGP (some of the calendar buttons overlap, the quick buttons on POS are quite narrow, etc.)”. RGP recommends a 1280x800 screen resolution. We strongly recommend using a receipt printer with a USB connection. ONE cash drawer and receipt printer are typically fine for most gyms – even VERY busy facilities. You can run multiple POS workstations all sharing the single cash drawer and receipt printer. To do this simply share the receipt printer like any Windows network printer across LAN and connect to it from another RGP workstations.